In an election debate on the BBC, eurosceptic leader Nigel Farage beat the liberal and pro-European Nick Clegg, with applause lines that Britain should “free itself” from the EU. The debate, which took place on Wednesday evening (2 April), pitched Liberal Democrat leader Nick Clegg against Nigel Farage, party leader of the United Kingdom Independence Party (UKIP). At the core of the discussion: should the UK be in or out of the EU? Clegg, deputy prime minister of the British government, is leading a pro-Europe campaign for the upcoming elections on 22 May, while Farage represents the most anti-European party in the country’s political landscape. The United Kingdom has seen a peak in criticism of its EU membership over the past years. Voices like Farage have argued that the EU costs them money (the country contributes more to the EU budget than it gets out of it in funding) and is democratically illegitimate. The Conservatives, in coalition government with Clegg’s Liberal Democrats, has promised a referendum over the UK’s membership to be held in 2017, if their membership isn’t renegotiated on British terms. 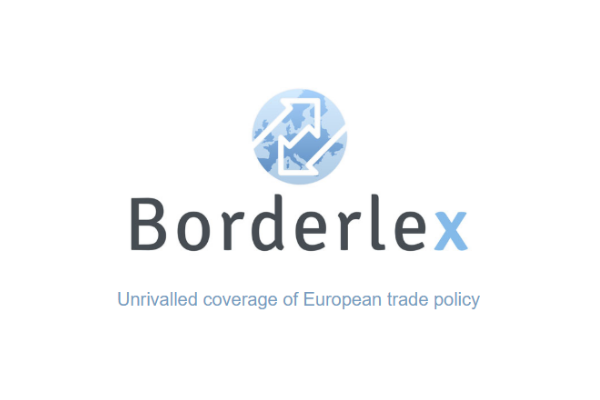 The UK’s official figures show that exports of the country to other member states account for half of all British exports, corresponding to a total of €185 billion. British financial and business representatives have repeatedly warned politicians on the economic consequences of leaving the EU. Recently, a report commissioned by the country’s car industry estimated that 92% of automotive companies thinks that staying in the EU is best for their business – a figure gladly referred to by Clegg in the debate. But British voters’ prime concerns, like immigration of workers from Eastern European countries or the perceived lack of control over the EU institutions’ law making, yielded more applause for the populist Farage, who hammered home the issue of powers shifting to Brussels. In a poll conducted yesterday evening by The Guardian, up to 69% of respondents selected Nigel Farage as the winner. A survey by pollster YouGov showed that 68% selected the UKIP leader as the winner. The BBC face-off was the second time these two British politicians faced each other in a televised debate. 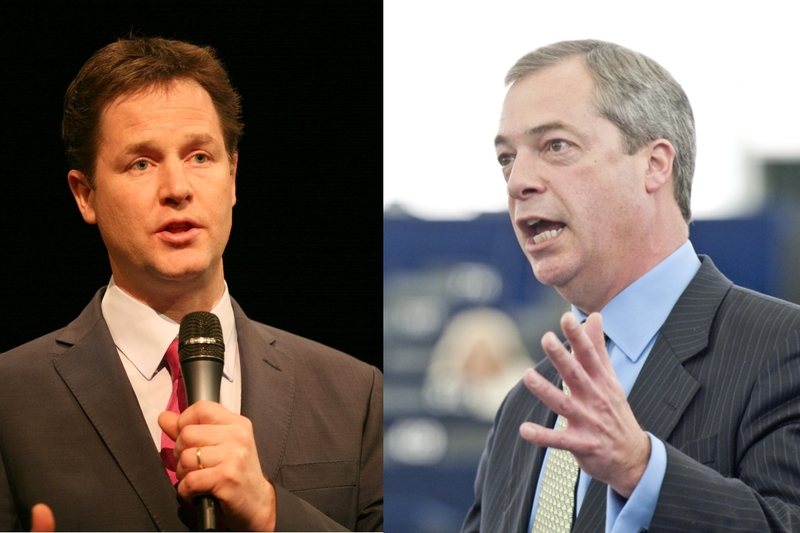 On 26 March, Clegg and Farage discussed the topic of EU membership in a debate organised by the London-based radio station LBC. The debate marks the start of weeks of fierce campaigning over the future of Britain in the EU. Latest polls have UKIP, which is campaigning to get the UK out of the European Union, second at 20 seats, while the Labour party is topping the polls with 27 seats. The governing Conservative party could come in only third with 18 seats; their coalition partner, the Liberal Democrats, are at 2 seats. The question is whether latest news related to Farage’s alleged tax evasion might impact his campaign. According to The Guardian, Farage is using a private company to reduce his tax bill on his media appearances. The UKIP leader diverts money from appearances in the media and on the lecture circuit into a firm called Thorn In The Side Ltd. Televised debates are commonplace in many European member states, but were first organised in the UK only in 2010. The Conservatives and the Labour party – the two largest parties in the country – have shown caution in commiting to debates in the run-up to European elections. Next May’s vote also introduce ‘presidential debates’ on a European level. All lead candidates of pan-European political parties, who serve as candidates to become the next EU Commission president, will face each other in three debates, so far. The two most likely contenders for the lead position in the European Union, German socialist Martin Schulz and Luxembourg conservative Jean-Claude Juncker, will also go head to head in at least three televised debates in the coming weeks. Pan-European polling data, released on Wednesday by the organisation PollWatch, showed the Party of European Socialist (PES) and the centre-right European People’s Party in a tie at 212 seats for the next EU Parliament. The party that wins most seats is likely to put forward their candidate for the EU Commission presidency. British voters head to the polls on 22 May to vote for their representatives in the next European Parliament. The country has 73 seats in the next parliament and is the third largest national group of MEPs in the hemicycle. Mainstream parties are under pressure, as eurosceptic politicians have gained in power in the past years. The campaign is will be dominated by the UK’s protracting debate on whether it should stay in the EU. A potential British exit from the European Union came to the top of the political agenda in January 2013, when Prime Minister David Cameron said that Britain must use the upheaval created by the eurozone crisis to forge a new relationship with the European Union. Britain has negotiated a number of opt-outs from key EU policy areas since its accession in 1973. The country is not part of the eurozone and has not signed the free-border Schengen Treaty and does not want to abide by a number of EU police and judicial cooperation rules. Well there’s no surprise there then! The thing is the future of the EU is really in the hands of the third rate MEP’s and the dictatorial unelected commissioners. If they wanted to they could quite easly make the EU more palatable for the British people. In fact they could make the EU more palatable for the whole of the EU, because lets face it, the Golrious EU is NOT universally loved across Europe. I would only point to the rise of the far right political parties in the few countries that pay in to the EU Budget that keep the EU going for the rest who take back every penny they put in, and some! I see the EU as King Canute. The rise of the far right is a problem caused by the EU and a problem made by the EU. The EU has to change. Everyone see it except the EU! I accept Nick Clegg believes passionately in the EU and he is obviously here as the cheer leader for British engagement with the EU. Clegg response was “I suspect it will be quite similar to what it is now.” So even the EU’s greatest pro EU leader in the UK could not bring himself to say to the public that there might be any more integration or Progress towards ‘ever greater union’. If i were Mr Clegg i give me response on the question about what will Europe be in future ! ” A light federal & united Europe ” was the right answer ! but of course no one can predict @ 100% what the future reserves ! Actually this Europe is tzo much focused in selfi(sh)-nterestin’ of member-states leaders! What we already know is that only united we are strong so and i think that no one can disagree with this ! Not even our beloved Nigel Farage! The other thing is that Europe needs a British President like Tony Blair said in 2009 and thus from EU citizens to be elected! I mean Europe needs an neutral E.U. President elected from citizens like Tony Blair said in 2009! Such sentences are the defection of high nationalistic relict during globalism! About Nigel Farage i ve to told him why an European army is a problem ?? So does the European Union not have the right to defend itself against threats adequately or is that again only reserved for the a “commonwealth” Status Quo ! & Mr Toads solution – he wants to leave the EU – oh please. Dear, dear, he Lib Dems must be in terrible pain. When I was in the Services’ self inflicted injuries was a crime and punishable as such. How much longer can Cleggie survive as lib dem Leader? Will Cameron soothe his pain and nominate him as the UK Commissioner to replace Ashton? Mr Clegg is confused and in thrall to the likes of Viviane Reding and Herman Van Rompuy whose provinces benefit greatly from the location of EU institutions on their territories. This point needs to be remembered by all the pro EU fanatics.